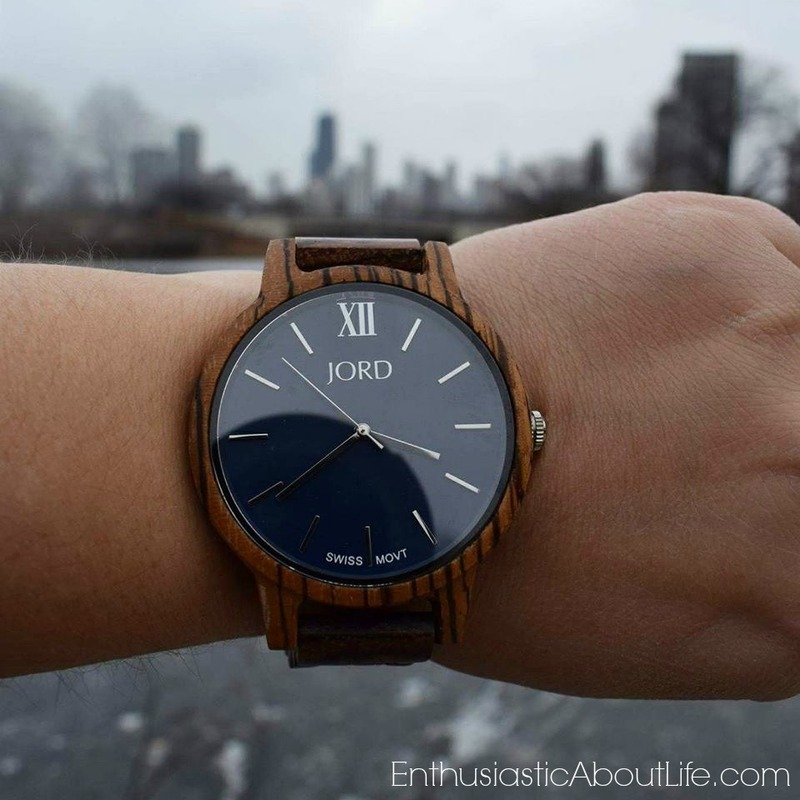 This post is sponsored by JORD Wood Watches. All opinions are my own. Sleepless in Seattle, Phoneless in Phoenix, Stylish in Chicago! I honestly could not have planned this partnership with JORD at a better time. 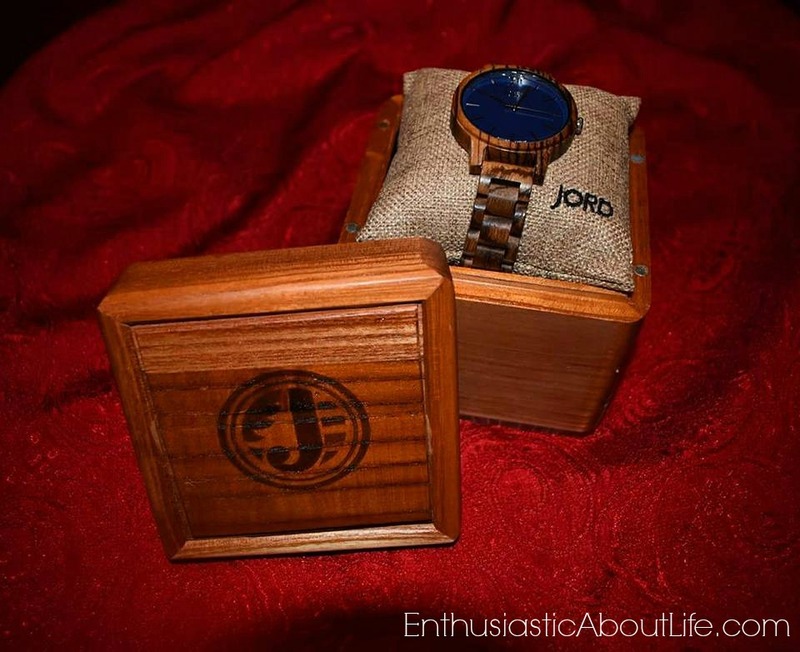 This month, I’ve partnered with JORD, a company that creates luxury, one-of-a-kind wooden watches and luckily for me, I was wearing this watch when my phone broke. So I knew how much time I had before Verizon closed, I knew how much time I had before the phone repair shop closed. and I was also able to arrive at the airport on time! Seriously, sometimes it feels like the universe is watching my back. So thanks Jord, you are a lifesaver! I can’t really call myself a fashion blogger, but wearing this watch made me feel like one (lol). Mostly because I kept getting compliments and because it looks so stylish no matter what you’re wearing. I took this watch on my 2nd trip of 2017 to see if it could keep up with my travel blogger lifestyle and wow, it sure was able to! 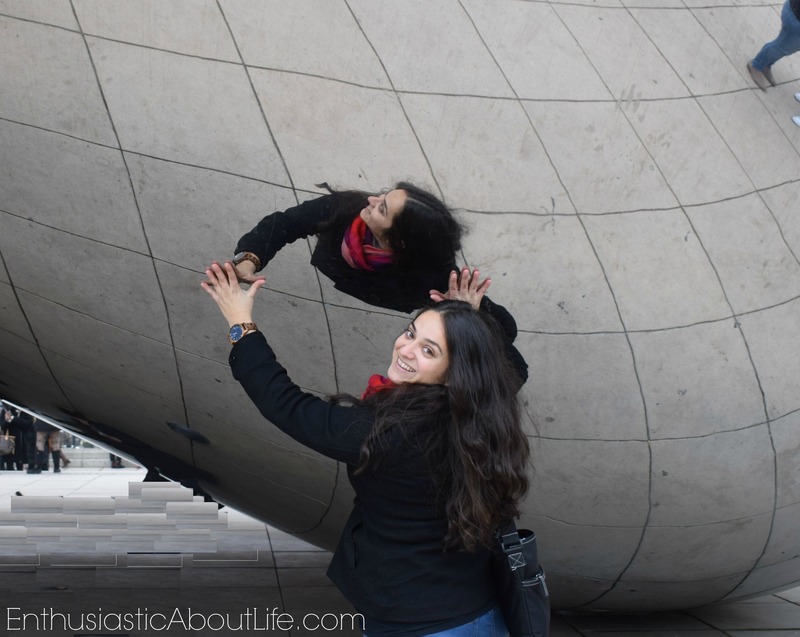 Our first stop was Cloud Gate, or ‘The Bean’ in Chicago! And even next to this incredibly shiny structure, my watch was still able to outshine everything! 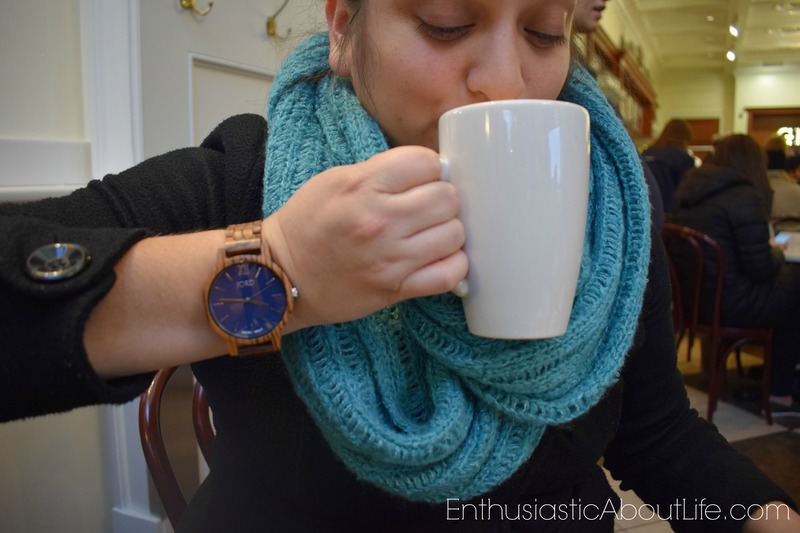 The watch I’m wearing is the Fankie Series: Zebrawood and Navy from the women’s shop. They also have a men’s shop for all of my male readers 🙂 so don’t you worry fellas, there’s something for everyone. There are four reasons why I like my new watch but before we get into those, can we please talk about the packaging? Imagine opening this on Valentine’s Day, or your birthday, or Christmas? The packaging seriously goes above and beyond. And the little pillow-thing was just so adorable to me. Okay, back to the four reasons! I was a little hesitant on how comfortable this watch would be, but I was pleasantly surprised! It felt completely normal, in fact, it was better than a regular watch because when I wear other watches they are always so cold because of the steel or metal band. 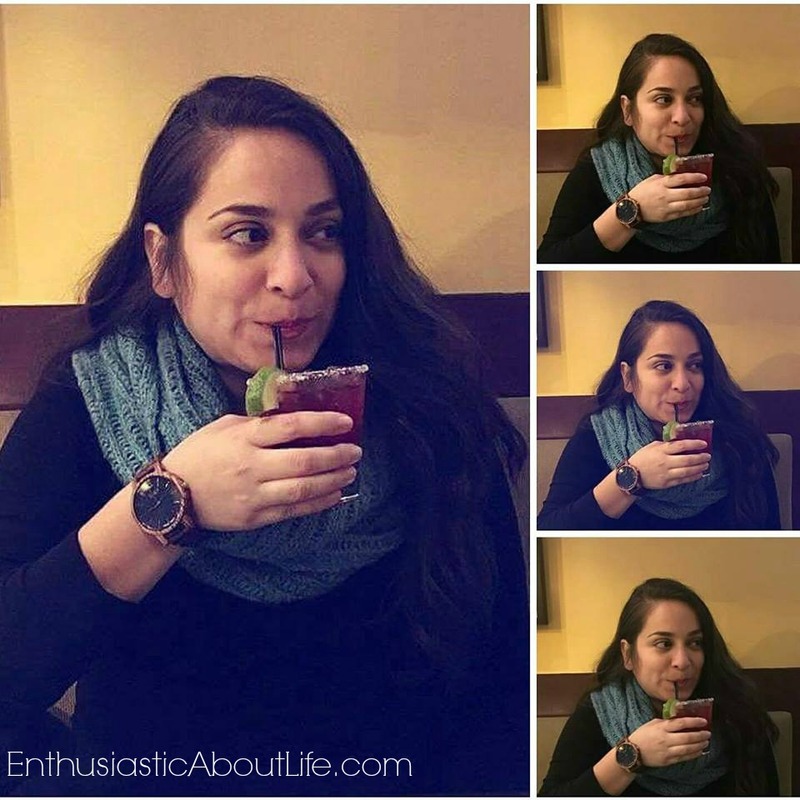 You don’t feel any cold from this wood watch, which was great for me because Chicago was freezing! This is self explanatory. The face of the watch is bright navy blue which is one of my favorite colors and the steel/glass combination next to the wood bracelet is just so pretty to me. 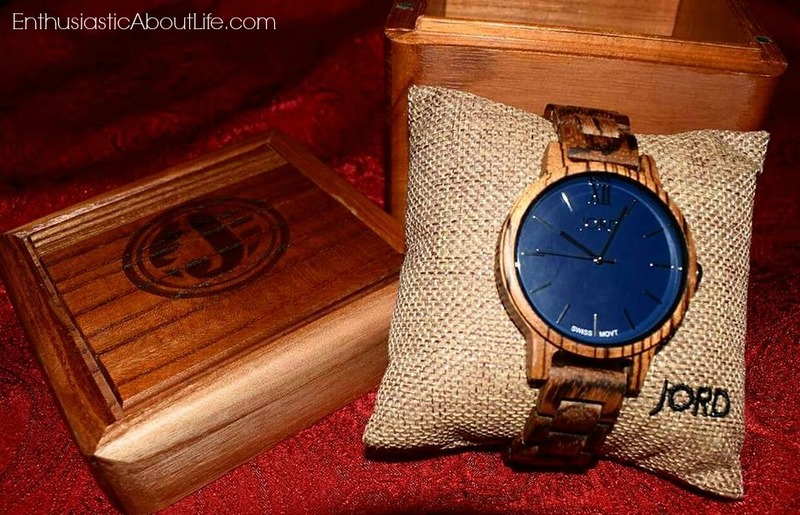 Plus, how often have you seen someone wearing a wood watch? I’ve gotten so many compliments everywhere! One thing I wasn’t aware of when I got my watch was that I could have customized it! That’s right, you can add a unique engraved message to your already unique watch. You can add your name, a happy birthday message, a romantic message, a funny pun, or an inspirational quote. I’m half tempted to get another one and engrave ‘enthusiastic’ on it (lol). All you have to do is fill out the giveaway entry HERE (only 2 questions)! The contest will close 2/26 at 11:59pm. The $25 code will expire on 4/30/2017. Good luck everyone! Thanks for reading and stay enthusiastic! < Previous 6 Puerto Rico Wallpapers To Inspire You To Visit! Next > 4 Phoenix Restaurants To Try This Valentine’s Day!